Hello! So The other day one of my local thrift shops was having a really good sale where they give you a bag and you can fill it up with anything you want and you can buy the whole bag for just $5!!! 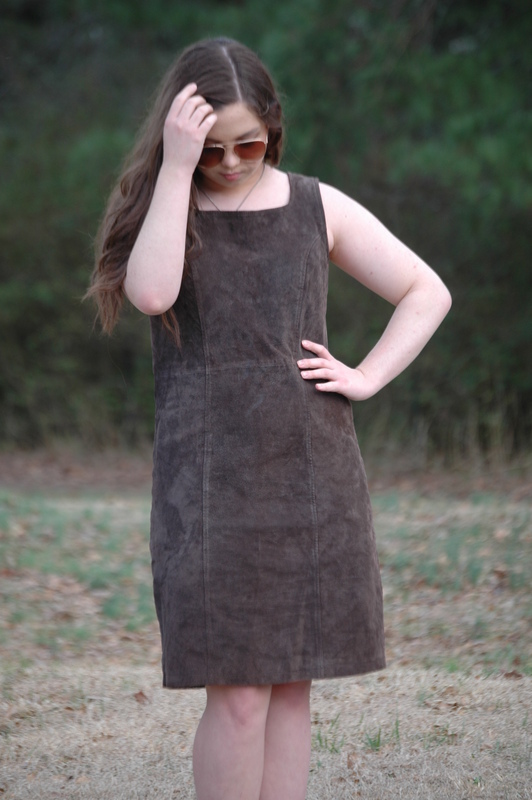 I got so much stuff in my bag and I really wanted to show you this amazing suede dress. It was such a good buy that I couldn’t walk out of the store without it!! If you have never been thrifting I really urge you to go!! You can find things that no one else has and everything costs a fraction of what it would cost if you were to buy it new. How could anybody not want to save money!! !